Tab kit-super strong 16x24 tab Boat Size: 35'-50'Actuator: DualVolts: 12L x W: 16" x 24"..
Tab kit-9x12 std elect-polish Boat Size: 16'-25'Finish: Electro-PolishedL x W: 9" x 12"..
Tab kit-12x12 std elect-polish Boat Size: 17'-30'Finish: Electro-PolishedL x W: 12" x 12"..
Tab kit-12x9 edge elect-polish Boat Size: 14'-18'Volts: 12Finish: Electro-PolishedL x W: 12" x 9"..
Tab kit-12x12 edge elect-polsh Boat Size: 17'-30'Volts: 12Finish: Electro-PolishedL x W: 12" x 12"..
2 1/4 stroke actuator w/6ft & Hole: 5/16"Stroke: 2.25"Model: 101 StandardLength: 12-1/8"..
2 1/4 stroke xd actuator 6ft w Hole: 5/16"Stroke: 2.25"Model: 101 XDLength: 11-3/8"..
2-1/4in stroke xd actuator w/6 Hole: 3/8"Stroke: 2.25"Model: 101 XDLength: 11-3/8"..
2-1/4in short xds actuator Hole: 5/16"Stroke: 2.25"Model: 101 XDSLength: 10-7/8"..
12x12 edge tab kit w-122 swtch Boat Size: 17'-30'Volts: 12Finish: StandardL x W: 12" x 12"..
12x12edge tab kit w-124 switch Boat Size: 17'-30'Volts: 12Finish: StandardL x W: 12" x 12".. 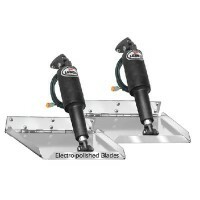 Trim tab kit-edge 12x12 w-led Boat Size: 17'-30'Volts: 12Finish: StandardL x W: 12" x 12"..
12x12 edge mnt kit 14 ga no sw Boat Size: 17'-30'Volts: 12Finish: StandardL x W: 12" x 12"..
12 x 12 edge mt 1 blade assy Boat Size: StandardVolts: 12" x 12" EFinish: L x W: ..
12 x 12 standard blade Boat Size: StandardFinish: 12" x 12"L x W: .. Trim tab kit-perf 12x12 no sw Boat Size: 18'-32'Model: RT12X12NSVolts: 12L x W: 12" x 12"..
12x12 std tab kit w-124 switch Boat Size: 17'-30'Finish: StandardL x W: 12" x 12".. 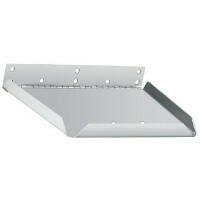 Trim tab kit-12x12 w-122 swtch Boat Size: 17'-30'Finish: StandardL x W: 12" x 12".. Trim tab kit-std12x12 w-led sw Boat Size: 17'-30'Finish: StandardL x W: 12" x 12"..
12x12 trim tab kit 14 ga no sw Boat Size: 17'-30'Finish: StandardL x W: 12" x 12"..
Tab kit-edge mnt 12x18 no swt Boat Size: 26'-36'Volts: 12Finish: StandardL x W: 12" x 18"..
12 x 18 standard blade Boat Size: StandardFinish: 12" x 18"L x W: ..
12x18 trim tab kit 12 ga no sw Boat Size: 26'-36'Finish: StandardL x W: 12" x 18"..
Tab kit-edge mnt 12x9 no swtch Boat Size: 14'-18'Volts: 12Finish: StandardL x W: 12" x 9"..
123drsc tactile tt switch w/ l Boat Size: L.E.D Indicator Switch Kit for Dual Actuator KitsActuator:..
123sc tactile tt switch w/led Boat Size: Finish: L.E.D. Indicator Switch KitL x W: ..
123sccb control box for 123sc Description: Control Box Only for #123SC Switch..
124ssr std tactile tt switch k Boat Size: Finish: Standard Tactile Switch KitL x W: .. Trim tab kit-perf 14x12 no sw Boat Size: 19'-34'Model: RT14X12NSVolts: 12L x W: 14" x 12"..
Deutsch connectors. Completely waterproof, quick and easy installation. ABYC compliant. One required..
Add a second control station to a Lenco Trim Tab system. 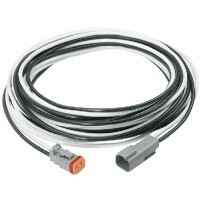 Includes 20' shielded wire harness, Y-conne..
9 x 12 standard blade Boat Size: StandardFinish: 9" x 12"L x W: ..
9x12 std tab kit w-122 switch Boat Size: 16'-25'Finish: StandardL x W: 9" x 12".. Trim tab kit-std 9x12 w-led sw Boat Size: 16'-25'Finish: StandardL x W: 9" x 12"..
9 x 12 trim tab kit no switch Boat Size: 16'-25'Finish: StandardL x W: 9" x 12".. Trim tab kit-9x12 w-124 switch Boat Size: 16'-25'Finish: StandardL x W: 9" x 12"..
9 x 18 trim tab kit 14 ga no s Boat Size: 22'-30'Finish: StandardL x W: 9" x 18".. 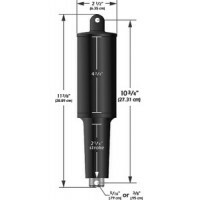 Trim tab kit-9x9 no switch Boat Size: 14'-18'Finish: StandardL x W: 9" x 9"..
Ag adapt cable-smartcrft 2.5ft Fits: SmartCraft/MercuryDescription: Adapter Cable- 2.5'..
Ag adapter cable-j1939 2.5ft Fits: J1939Description: Adapter Cable- 2.5'..
Ag adapter cable-yamaha 2.5ft Fits: Command Link/YamahaDescription: Adapter Cable- 2.5'..
Ag canbus #2 ext cable-15ft Fits: Network system NMEA female to male.Description: CANBUS #2 Extensio..
Ag canbus splittr conn hub-6in Fits: CANBUS Splitter Connector Hub, 6"Description: ..
Ag canbus#1 nmea2k cable-2.5ft Fits: CANBUS#1 NMEA 2000 Cable, 2.5'Description: ..
Ag gps-nmea 2000 adapter-2.5ft Fits: For connection to GPS/Antenna ReceiverDescription: CANBUS#2 GPS..
Ag gps-nmea2k netwk adap cable Fits: Connects to NMEA 2000 networkDescription: CANBUS #2 GPS-NMEA 20..
Ag nmea 2000 network kit Description: NMEA 2000 Network Kit..
Ag nmea 2000 power cable-2.5ft Description: NMEA 2000 Power Cable-2.5'..
Ag terminating resistor-female Description: Terminating Resistor-Female..
Ag terminating resistor-male Description: Terminating Resistor-Male..
Ag contrl box harness-dual act Fits: Dual actuator tabsDescription: Control Box Harness F/30256001 b..
Ag control box harness-sgl act Fits: Single actuator tabsDescription: Control Box Harness F/30255001..
Autoglide control box-dual act Fits: Dual actuator tabsDescription: Control Box, 6" x 6"..
Autoglide control box-sgl act Fits: Single actuator tabsDescription: Control Box, 6" x 6"..
Autoglide extension cable-20ft Fits: 20' Extension CableDescription: ..
Autoglide extension cable-30ft Fits: 30' Extension CableDescription: ..
Autoglide extension cable-40ft Fits: 40' Extension CableDescription: ..